Budget Cuts, AKA Gallery and Paved Arts, Saskatoon, Saskatchewan, 2012. Budget Cuts on 20th Street W, Saskatoon. 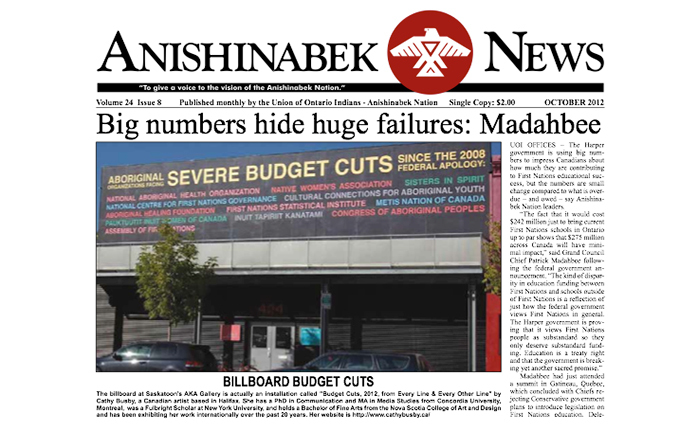 Budget Cuts makes the news in North Bay, Ontario. Accompanying folder available at AKA Gallery during the exhibition with list inside of 12 organizations whose budget were cut and links to related news stories. I created a print edition to circulate as a permanent record of the original temporary billboard. 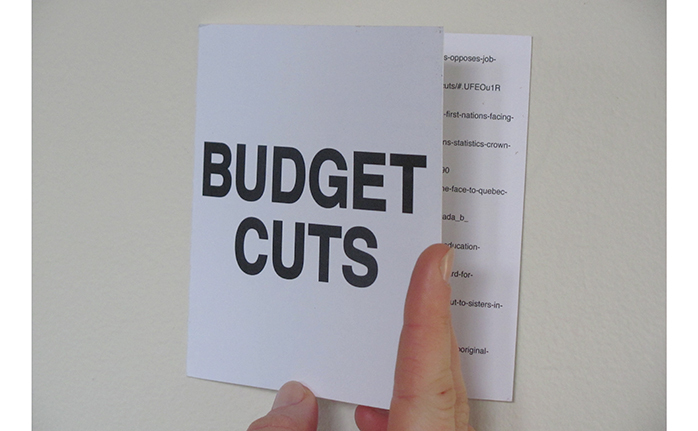 Budget Cuts, screenprint, Malaspina Printmakers, Vancouver, 69.8 cm x 74.3 cm, 2013. 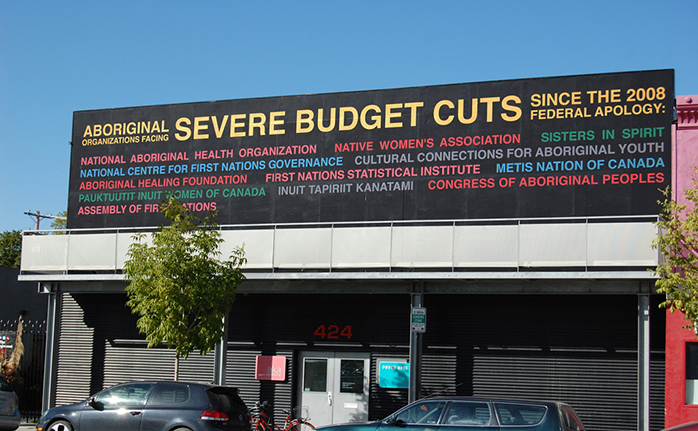 Budget Cuts, AKA Gallery and Paved Arts, Saskatoon, 2012 is a continuation of my work, We Are Sorry. 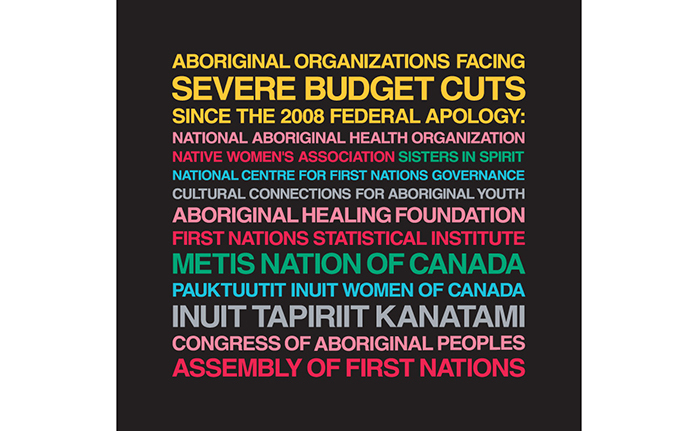 For the billboard, I compiled a list of Aboriginal organizations whose budgets had been severely cut since the federal government’s 2008 apology for the Indian Residential School system. It was installed in a high-density Aboriginal neighbourhood in Saskatoon. 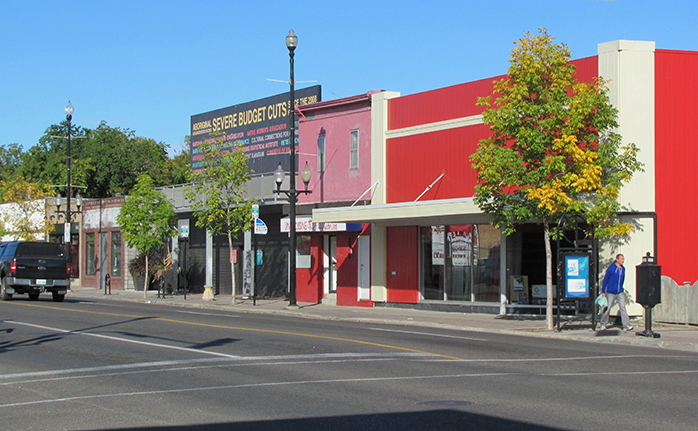 The colours used match those immediately surrounding the site: for example, yellow of the pavement marking line on the street, pink and red of the attached building and aqua of the AKA Gallery sign.